A clear and sparkling window can do wonders for the success of your business. After all, people are far more likely to take notice of your property and walk inside if your windows are clean. Fortunately, the specialists at DJB Commercial Cleaning can provide professional window cleaning services of the highest standard. DJB Commercial Cleaning is fully capable of cleaning both easily accessible and hard-to-reach windows for commercial properties. We understand the importance of a presentable business, which is why we use the latest equipment and the most effective techniques to deliver superior results. Whatever your needs, you can trust us to accommodate them. From schools and medical centres through to restaurants, cafés, retail outlets and high rise buildings, we can provide assistance to a wide range of clients. We boast extensive expertise and experience, allowing us to complete jobs that require specific skills and training. This includes cleaning windows several storeys above the ground. At DJB Commercial Cleaning, we pride ourselves on delivering flexible and versatile window cleaning services. You can schedule an appointment for a time that best suits you, minimising disruptions and intrusions that might otherwise affect your productivity. This allows you to focus on your work and get more done. 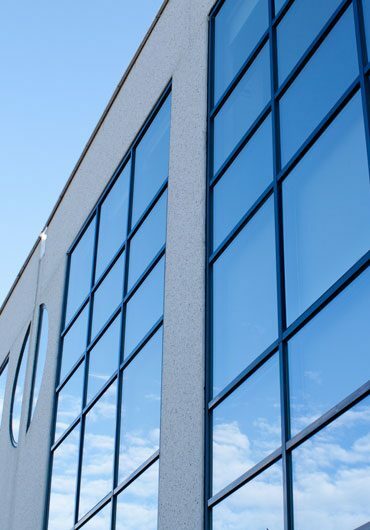 If you’re looking for professional window cleaning services, you can trust the specialists at DJB Commercial Cleaning to meet your needs and exceed your expectations. Contact us today to learn more about our services and discuss your requirements.